With an "app for everything," it can be overwhelming to find the right choices for travel. We at Compass & Key want to avoid staring at our smartphones all day, so we've searched high and low for the essential travel apps that complement a vacation, not overtake it. We went beyond the booking process to showcase the apps we actively use during our trips. Here are Compass & Key's 10 Essential Travel Apps that we use and love. WHY: TripCase is the ultimate app for organizing all of your trip plans in one place and sharing them with friends and family. As you confirm flights, lodging, activities and more, enter the details on your phone or through the website, or you can forward your email confirmation (we use this feature often), and TripCase will do the work for you. WHAT WE LOVE: the easy sharing capabilities. Share your entire itinerary via email, plus notify loved ones automatically when your flight has landed (ideal for your parents, they worry). This app has been on our smartphones for over five years for both business and leisure travel. CAN IT GO OFFLINE? Yes. 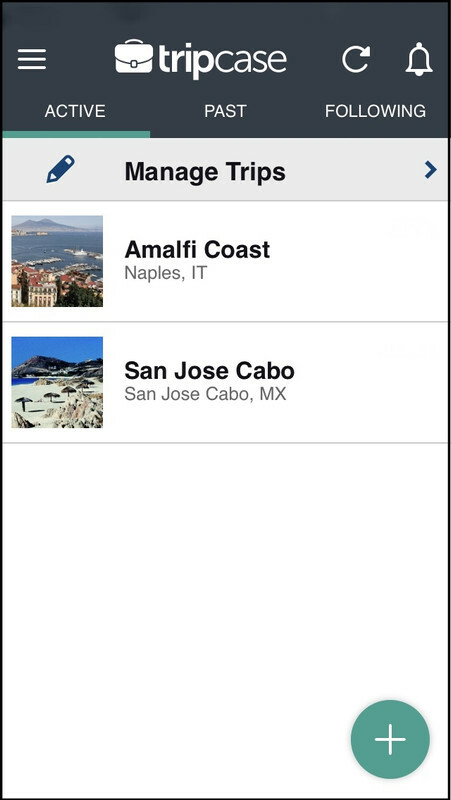 TripCase automatically pushes into offline mode when service is not available, showing all the trip details previously saved (which you probably entered before you left anyway). Offline mode comes in exceptionally handy when you quickly need confirmation numbers (flights, hotels) and wifi isn't available. WHY: Mapstr is an app that lets you create a personal map with all of your favorite places, anywhere in the world. It's so much easier to use than My Maps on Google. 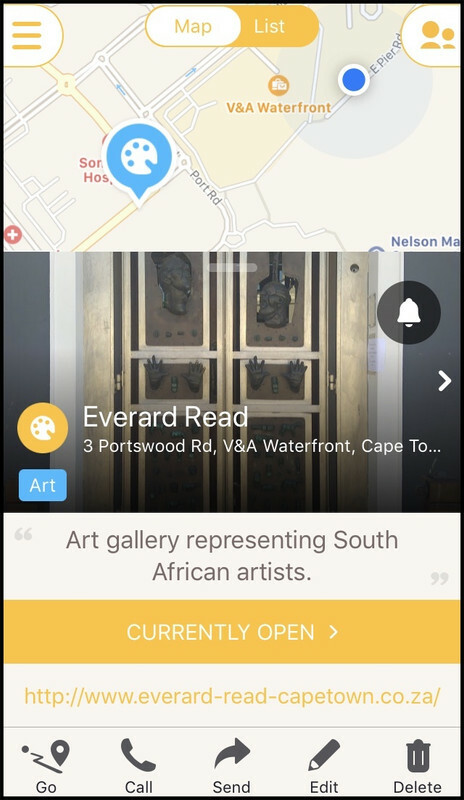 When you add a new place, Mapstr automatically links opening hours, contact information, and photos, so you instantly know when to visit and what to expect. Categorize your places so you can easily reference them later with customizable tags. Share your Mapstr map with friends who want to see where you went on your last vacation, or houseguests who could benefit from your favorite local spots. 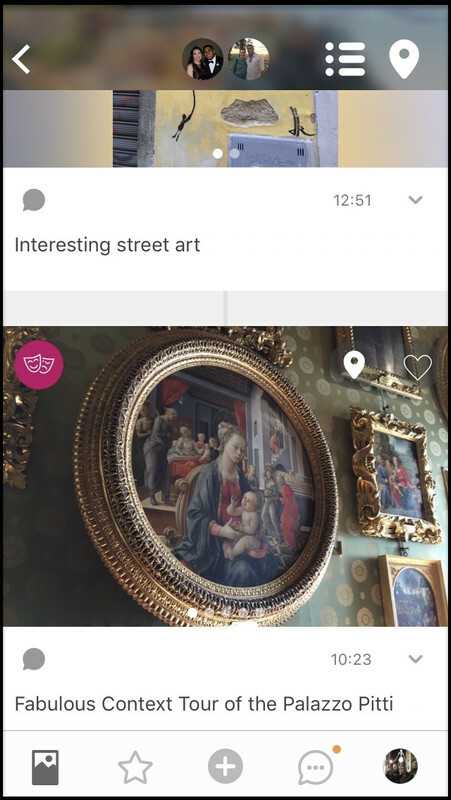 WHAT WE LOVE: One of our favorite features is the ability to add notes about why you love the place or where you heard about it. Quickly save all of the places from your travel research, including restaurants, bars, shops, museums, markets, gardens, etc. 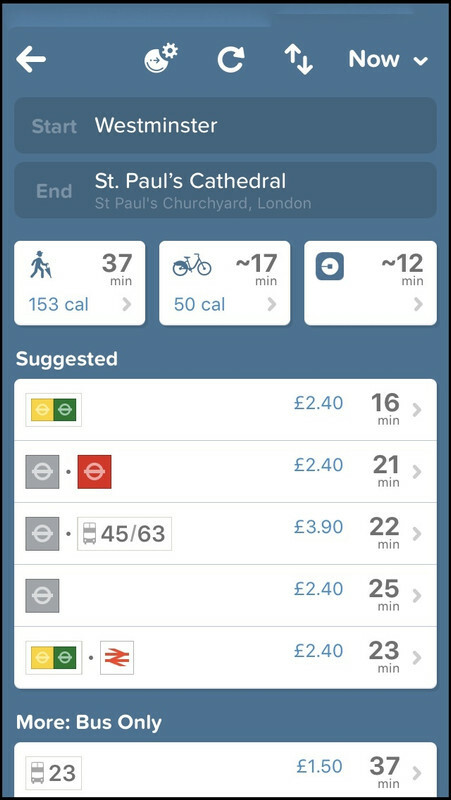 When you're ready to visit, Mapstr connects to a variety of transport options to get you there, including Uber and CityMapper (see below). CAN IT GO OFFLINE? Yes, for accessing your existing map. To add a new place, it's best to be online. WHY: CityMapper quickly became our transportation app of choice in our hometown of Chicago after its release in 2014. But beyond the daily commute, it's a powerful app for travelers in urban centers around the world, with almost 40 cities covered, from Seattle to Rome to Sydney. CityMapper empowers you to utilize the same buses and trains as the locals, providing the perfect opportunity to ask about places to see and things to do. WHAT WE LOVE: Not only is it the best way to tap into a city's transport system, it also shares the time (and calories) it would take to walk or bike. Reference transport maps and recently searched trips from the home screen. Our favorite part may be the cheeky transport options via catapult or rocket (this trip would take one minute via catapult, FYI). CAN IT GO OFFLINE? Yes. After choosing your route, you can easily save it to your home screen for reference whether you have data or not. WHY: We prefer HERE maps over Google maps for travel (GASP!). The detail has been far superior in many instances, such as the time HERE maps routed us through the maze of pathways in massive park Bois de Bologne in Paris. While the public transportation routing isn't as smooth as CityMapper, HERE maps can still provide transport options in offline mode. 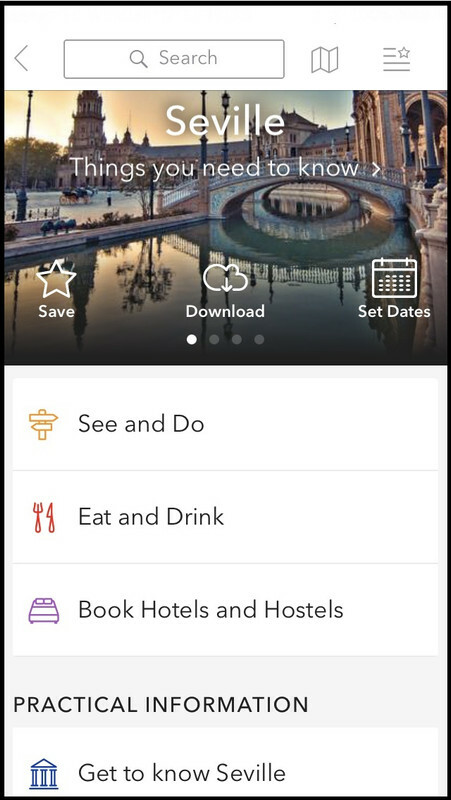 WHAT WE LOVE: Easily bookmark places - hotel, restaurants, sights - in a 'collection' to be accessed on the go. HERE also offers quick navigation to find nearby ATMs, pharmacies, taxi stands, and more, right on the map. CAN IT GO OFFLINE? Offline use is the #1 reason to pick up this app. It works like a dream. If you're traveling anywhere that would be considered 'remote,' do not leave home without the relevant map downloaded to HERE maps. Just remember that offline use will drain the battery quickly, so make sure to have a charger or portable battery pack on hand. WHY: Triposo takes sightseeing to an entirely new level. Want to learn more about that historic-looking building around the corner, or a park you just came across? Triposo taps into open-source platforms like Wikipedia to cover over 3 million places of interest across 200 countries. Thoughtful references like currency exchange, weather, common phrases and much more are available at your fingertips. WHAT WE LOVE: The interactive city walks! We chose Triposo as one of our app partners because it's easy to find and share unique, self-guided walking tours, called 'Mini-Guides,' contributed by locals and travelers alike. Start the walk to guide you, and learn about each stop on a dynamic map. Track a mini-guide, and it will notify you when you're near any of the stops. Similar to HERE maps, save destinations - hotel, restaurants, sights - to reference anytime. CAN IT GO OFFLINE? Definitely! Download the guides - available for major cities/regions as well as entire countries - for offline use when you arrive at your destination. Similar to HERE maps, the app can be accessed offline but it drains battery power, so plan accordingly. 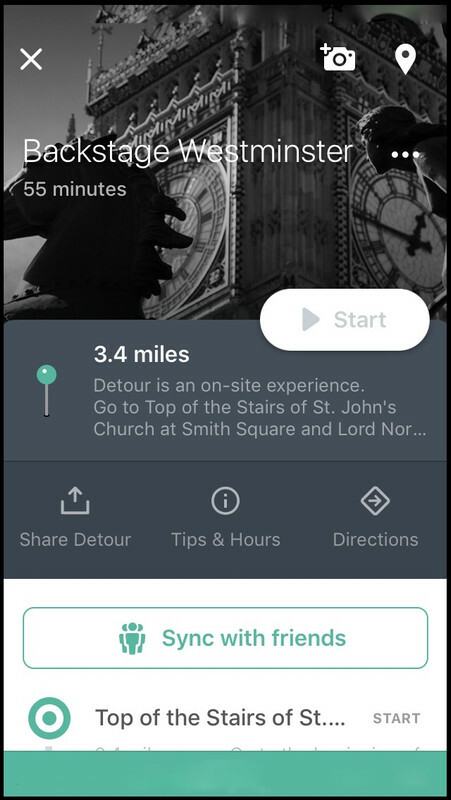 WHY: Dynamic audio travel guides are difficult to come by, which is why we were so excited to discover Detour. Locals share behind-the-scenes stories that immerse you in a neighborhood, museum or themed guide. Sync the audio with your traveling companions so that everyone can enjoy simultaneously. While it's only available in ten cities, keep an eye out for new audio guides from Detour. WHAT WE LOVE: It's like having a personal travel guide walking with you. Location-based activity means the audio guide plays at the exact moment you arrive at the corresponding destination. So in the screenshots here, the guide will only begin when we reach the starting point of St. John's Church in Westminster. CAN IT GO OFFLINE? Yes! All purchased tours can be downloaded for access offline. WHY: Live music brings people together, crossing language and cultural barriers. BandsinTown allows you to seek out the artists you love along with new acts yet to be discovered. But few people think to use the app when they travel. Enter your destination, refine the date range, and find a show or two that looks interesting. It's easy to strike up a conversation with locals while waiting for a band to go on stage because you instantly have something in common. WHAT WE LOVE: The app recommends artists you may like based on the bands you already know and follow. The app also makes it easy to identify smaller, independent music venues, which often lead to nearby restaurants and shops worth a visit. CAN IT GO OFFLINE? 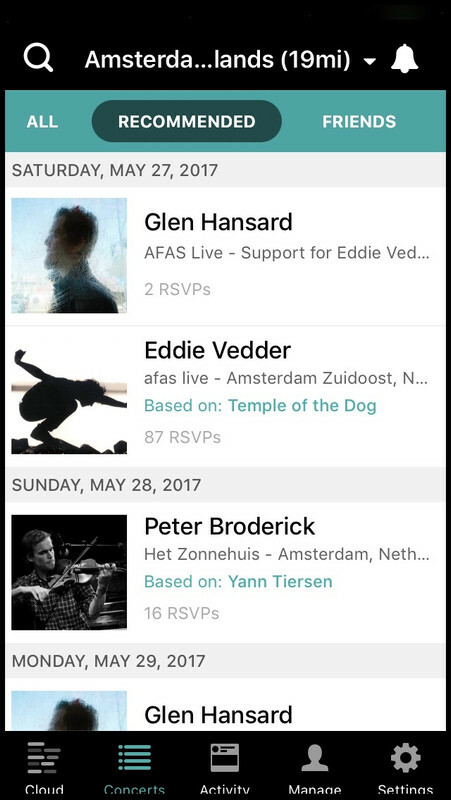 N/A, since you can indicate your interest in a concert while online and the app will save it in your calendar and the app. WHY: To have trail maps available in the palm of your hand, whether traversing a National Park or urban green space. Discover hikes based on difficulty and distance, read reviews, save your favorites and share with fellow travelers. AllTrails Pro members ($) can download the trail maps directly to their phones for offline use, and create custom maps to share, download or print. 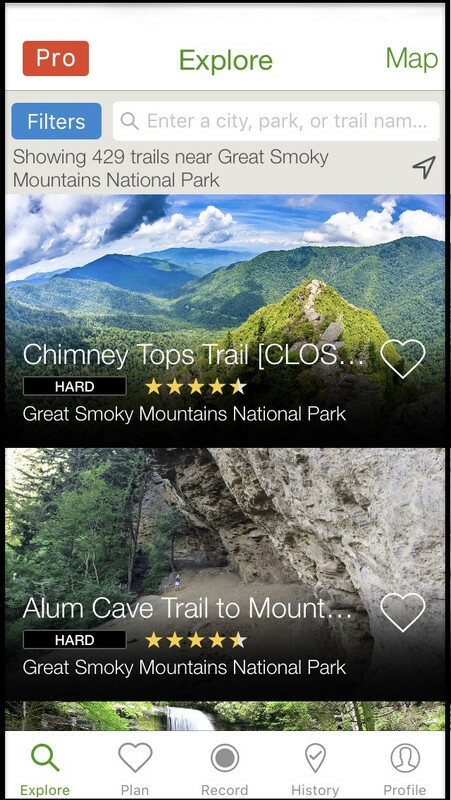 WHAT WE LOVE: Compass & Key chose AllTrails as an app partner because of the incredible amount of detail available on the hikes. Take Spruce Flats Falls in the Smokies (hover over image here), where you can see elevation gain and photos at different stops along the trail. We also appreciate that dog-, kid- and wheelchair-friendly trails are part of the search filters. CAN IT GO OFFLINE? AllTrails Pro members can save hikes offline, which is helpful when traversing vast swaths of nature located beyond the reaches of wifi, from a casual day hike to a backcountry adventure. WHY: It can be tricky enough to explore a foreign country without dealing with a language barrier. Google Translate isn't perfect, but with 103 languages available for translation, it has made it easier to navigate, shop, sightsee and more while traveling internationally. 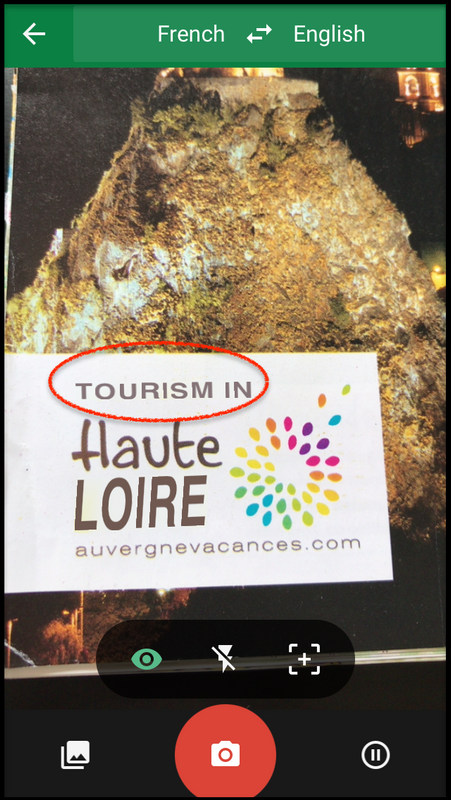 Compass & Key recommends learning some spoken phrases before leaving, but for on the go travel, Google Translate is an essential app. WHAT WE LOVE: Instant camera translation. Read maps or menus, view the list of ingredients on food products, and explain befuddling street signs. And conversing with locals is much easier with speech translation using your smartphone's microphone. CAN IT GO OFFLINE? Yes, for 52 of the languages supported. WHY: A travel journal helps you remember everything you did on vacation; a streamlined digital version is even better. Journi allows you to quickly add entries with as little or as much detail as you prefer. Add your traveling companions as collaborators and share with friends and family to follow your trip. You can make your Journis public to the world or private for only those you invite. Explore other Journis to find destination inspiration. WHAT WE LOVE: Journi automatically connects your smartphone photos with the corresponding location and time from the metadata, creating a timeline and map of your adventure. Follow the lead of Compass & Key and use Journi to document custom walking itineraries to share with the world. CAN IT GO OFFLINE? Yes. If you're connecting the app with mobile photos, you can create your Journi on the go (offline or online), or, wait until the end of a travel day, and the timeline will still work based on the metadata in the photos. 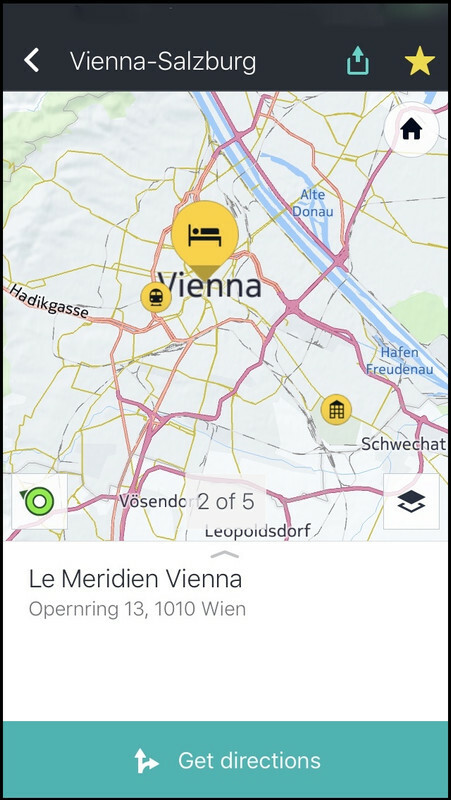 Don't Forget: Many visitor bureaus, museums and parks also offer their own site-specific travel app, from the tourism centers in Paris or Bruges or New York State, to the Art Institute of Chicago or Duomo in Florence, to Yellowstone National Park or Norway's natural wonders. Also try searching podcasts for destination travel. What are your essential travel apps? Share your ideas in the comments below.